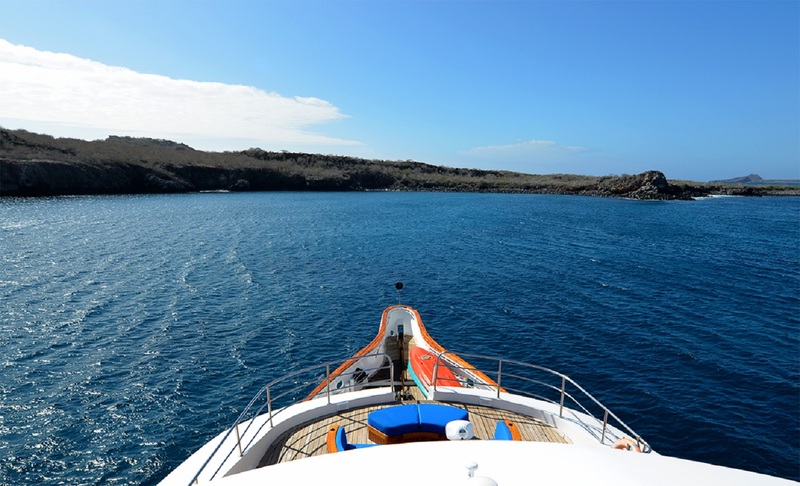 Take this amazing 8 days opportunity to explore the beautiful sights within the Eastern Islands of Galapagos. 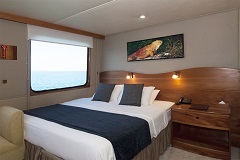 Travelling in an exclusive and functional luxury yacht, indulging yourself to this unforgettable experience. Engage with lovely native wildlife and even endangered species thoroughly with an exceptional naturalist guide. 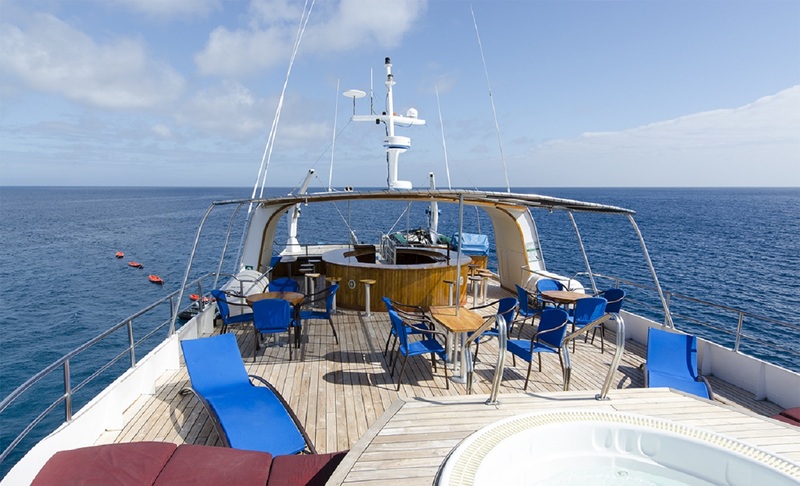 Diving, snorkelling and many exciting activities are offered to make this experience both breathtaking and fascinating. Don’t miss on this chance and make your adventure truly worthwhile. 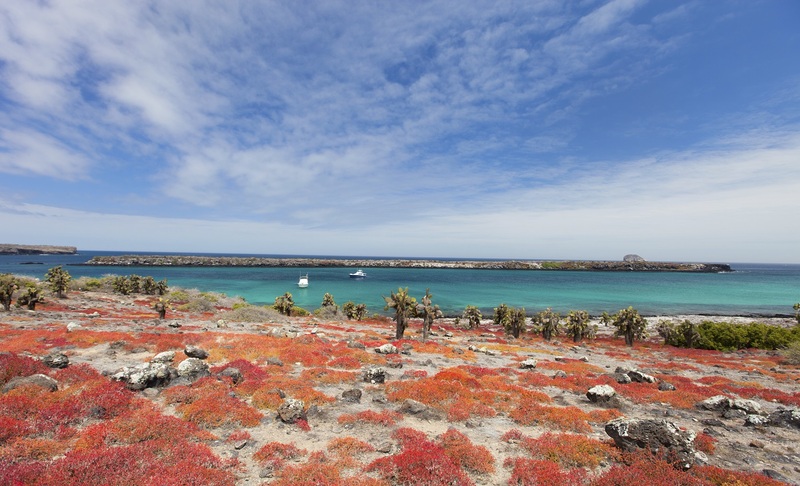 Visit the Charles Darwin Research Station and Galapagos National Park headquarters and learn first hand of the conservation and research efforts in the islands. 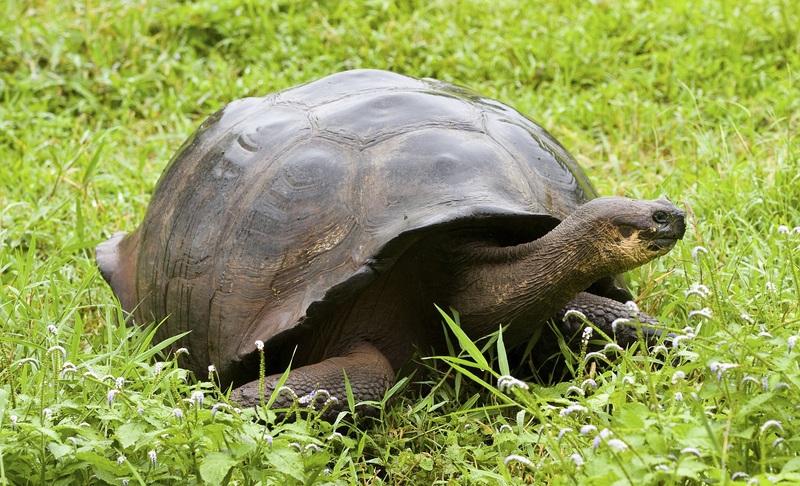 There, you’ll see several subspecies of adult tortoises, lots of hatchlings, and learn of the repatriation programs that are saving several subspecies of tortoises and iguanas from extinction. 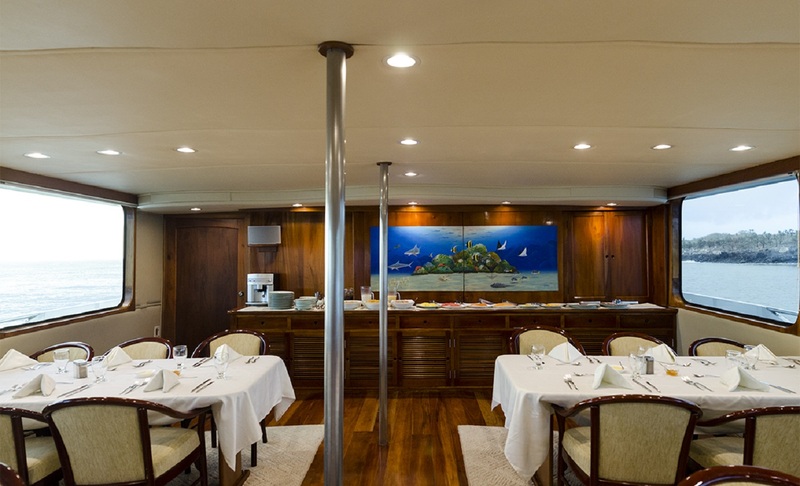 Later In the afternoon, board your yacht, Integrity, for dinner and set sail on our Island cruise. 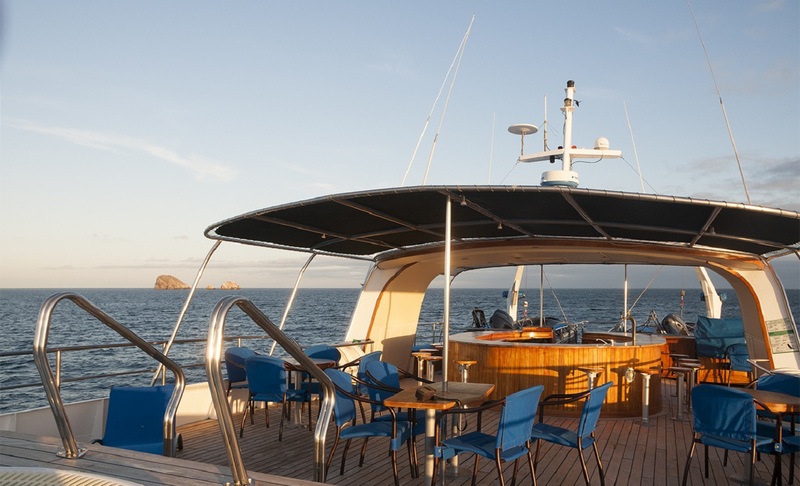 You will live aboard the yacht and spend as much time exploring the islands as park rules permit. Each night, you’ll travel on to the next destination. 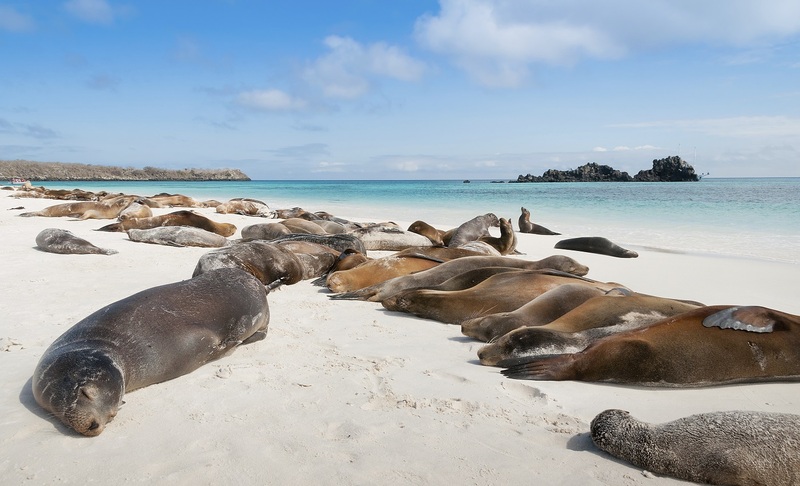 Stroll along a magnificent white sand beach where sea lions lounge, marine turtles nest, and the curious Espanola mockingbirds follow our every footstep. 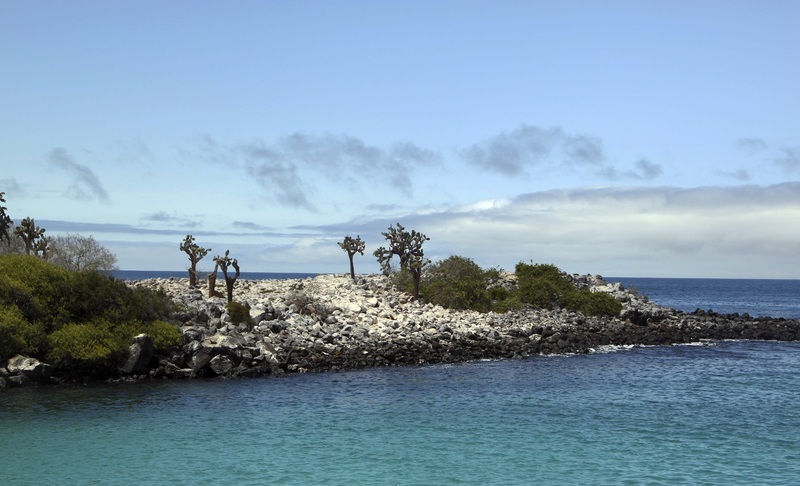 You can take a brief swim on the beach or wait for an amazing snorkel in the company of schools of colorful fish, turtles, sea lions, and possibly small sharks along the underwater cliffs of Gardener-by-Espanola, a small satellite islet. Disembarking onto the small beach, visitors are confronted by the unmistakable stench and cacophony of barking sea lions. This is a bachelor colony, and most are exhausted from fighting and mating. A steep gully leads up the cliff to a breeding ground for Boobies of all three varieties: Red-footed, Blue-footed and Nazca. 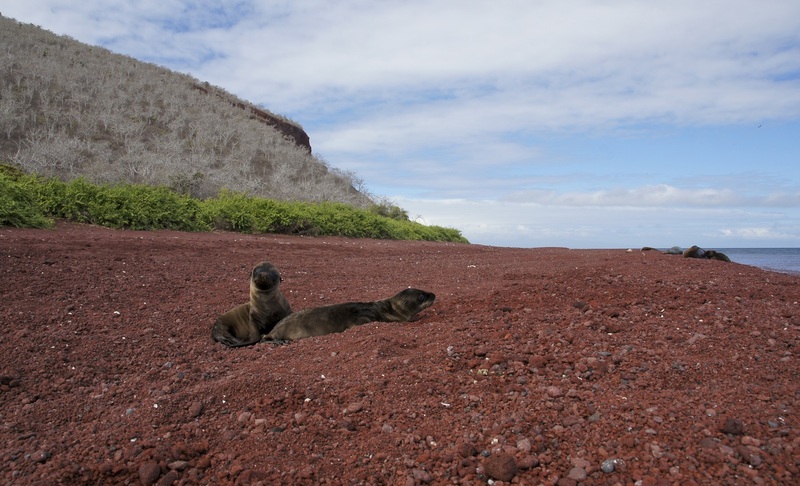 It’s the only place in the Galapagos where you can see all three species nesting together. Two species of frigatebirds are also present, as are Swallow-tailed Gulls and Storm Petrels. The view of sea lions from the top of the cliff over the beach is magnificent, as are the contours of the barren, wind-eroded peaks of the island. The trail across the Punta Pitt site offers a closer look at the hardy vegetation that manages to thrive in this volcanic wasteland. From Saltbush and spiny shrubs next to the beach the trail leads up to an area of Palo Santo trees, big yellow-green shrubs, tiny cacti and, in the dry season, carpets of red Vesuvius. 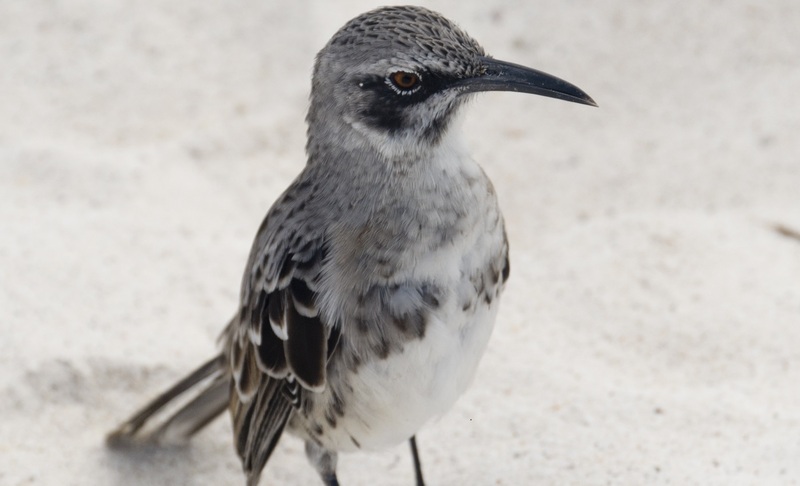 A short panga ride along the cliffs of Cerro Brujo will be followed by a visit to the lovely coral sand beach, frequented by waders and migrant birds. Snorkelers will see an amazing array of sea life at Kicker Rock, often including manta rays, sea turtles, and sharks. 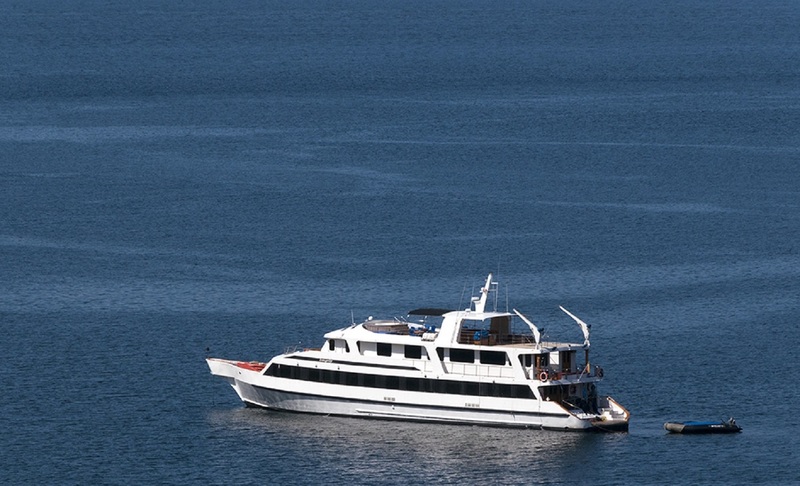 Non-snorkelers will enjoy a close cruise around dramatic Non-snorkelers will enjoy a cruise around the base of dramatic Kicker Rock, a 500 m vertical tuff cone. The orange glow on the rock at sunset is one of the more dramatic sights in all of Galapagos. 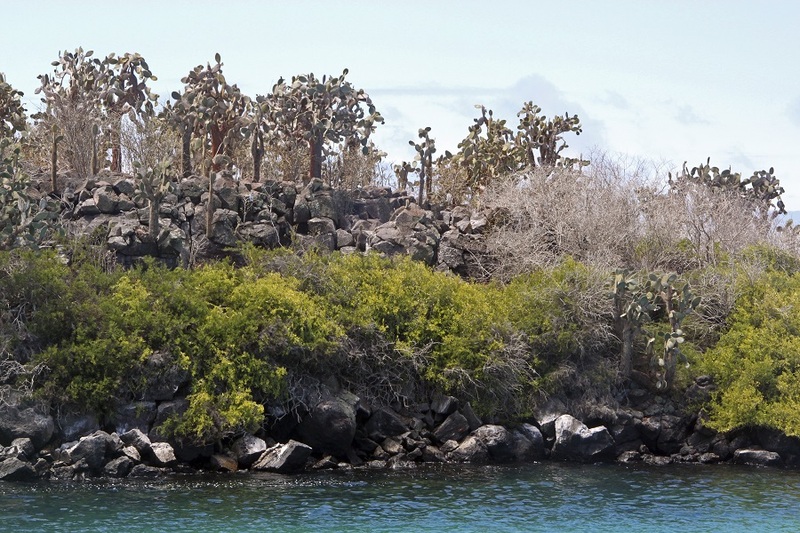 After landing on a white beach usually covered with sea lions, you’ll walk into a giant Opuntia cactus grove where you’ll have the opportunity to see the endemic land iguanas. The land visit will be followed by snorkeling and/or kayaking in the turquoise waters of the bay, full of sea lions, rays, urchins, eels, and fish of all colours. 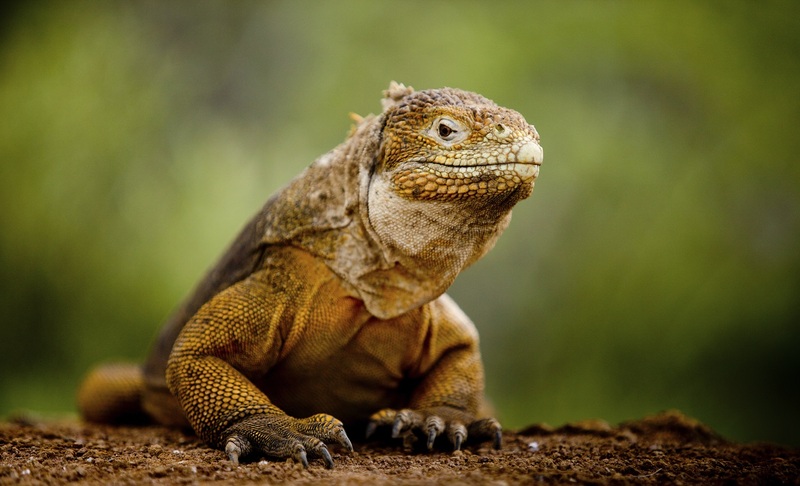 You will see another species of Galapagos land iguana as well as cactus finches. Both North and South Plazas were formed by geological uplift and tilt to the north, with cliffs on their southern coasts. On small islands like this, terrestrial and marine species interact more than on the larger islands, and the occasional hybrid iguana (land and marine) with its “zebra-like” stripes can often be observed. The south-facing cliffs swarm with a myriad of bird species. Bachelor sea lions climb steep cliffs in the late afternoon to spend nights away from the larger dominant bulls. At the north side of Darwin Bay, this beach was formed by the rim of a sunken crater. Red mangroves along the hiking trail provide habitat for yellow warblers, yellow-crowned night herons, and pintail ducks. 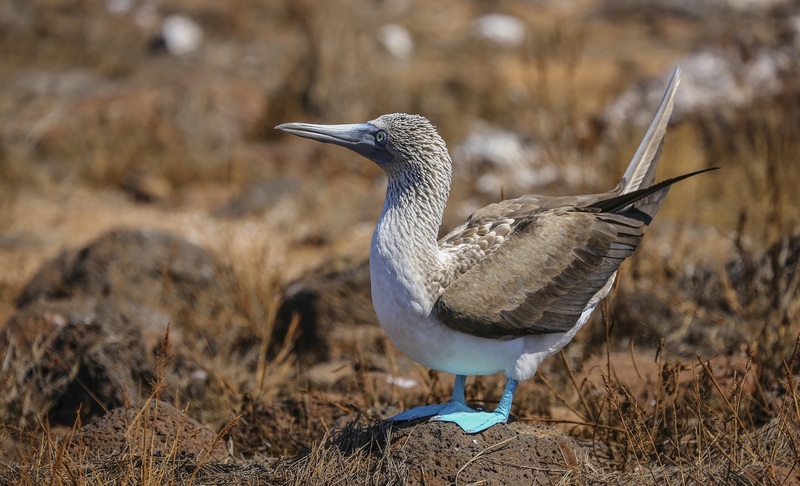 The highlight of this site is the incredible abundance of Red-footed Boobies, Great Frigatebirds, Swallow-tailed Gulls, and Yellow-crowned Night Herons. Although the most abundant booby in the islands, this is one of the few places visitors can observe Red-footed Boobies. While riding in a panga along the base of the eastern cliffs of Darwin Bay, you’ll scour the cliff crevices for all kinds of animal life. You’ll come to a rockfall that forms a natural staircase up the cliffs, known as Prince Phillip’s Steps or the “Stairway to Seabird Heaven.” Walk through massive colonies of Red-footed and Nazca Boobies and an extraordinary Palo Santo forest on the way to a lava ridge where thousands of storm petrels dart about while short-eared owls stalk them for prey. 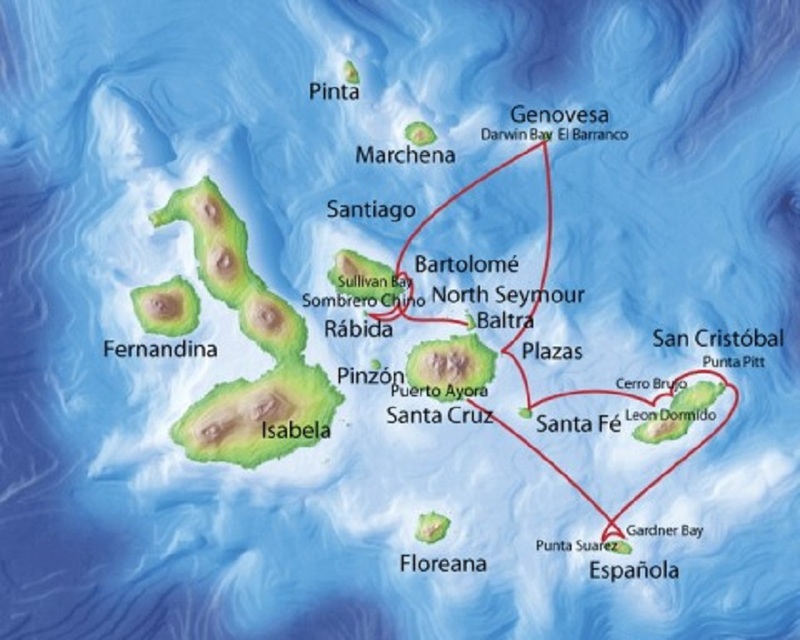 Thursday: Santiago and Bartolome Islands. Walk across a recent lava flow and view its beautiful structural characteristics. Formed in the second half of the 19th Century, the flow is too young for much plant or animal life. It is the lava itself and the contrasting black pahoehoe flow and the reddish-yellow tuff cones that are the stars of this visit. The colors and shapes of the lava are fantastic for photos. 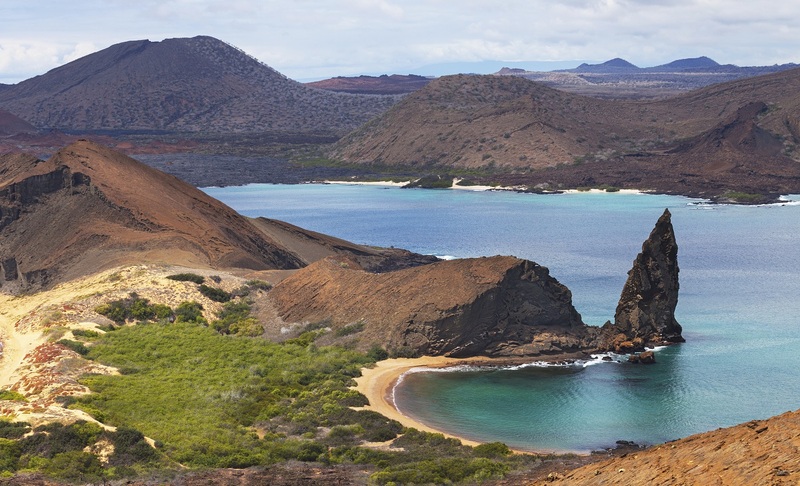 Arguably the most recognized landmark in Galapagos, Pinnacle Rock juts straight out of Bartolome’s northern bay. 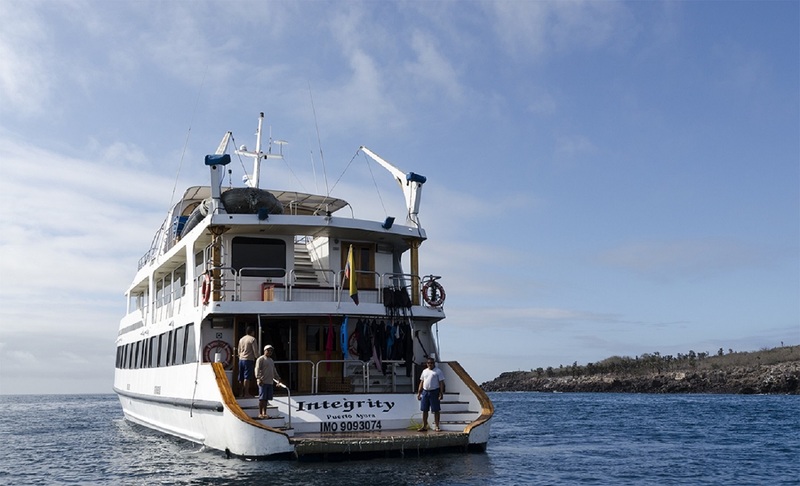 Snorkeling in the bay provides visitors with a chance to swim with Galapagos Penguins. Climbing up the 600-m trail to the top of the island provides spectacular views of Pinnacle Rock, Santiago Island, and Daphne Major and Minor. Land at Red Beach where wading birds and ghost crabs dot the sand. Behind the beach is a saltwater lagoon where Pintail ducks and Common Stilts are frequently seen along with a group of bachelor sea lions. Brown pelicans nest in the nearby salt brush. A short trail inland provides a chance to observe finches, Galapagos Doves, Yellow Warblers, and mockingbirds, as well as the occasional snake. 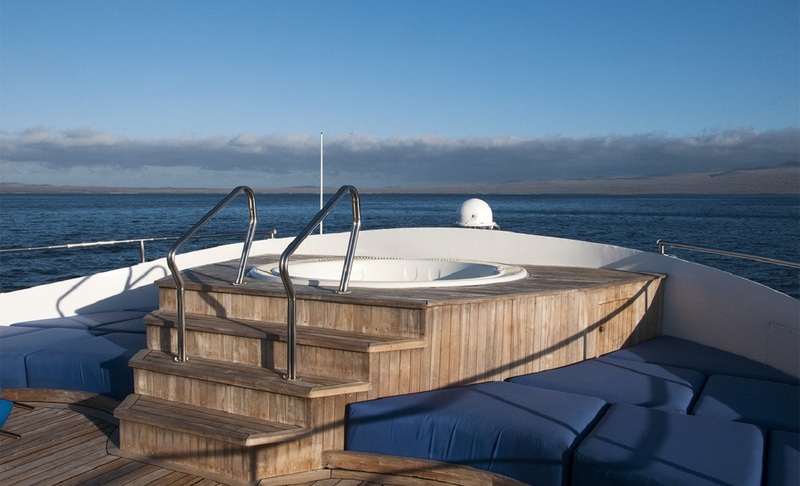 The turquoise waters near Sombrero Chino provide one of your best opportunities to see Galapagos Penguins. A panga ride in search of wildlife is followed by a snorkel that often includes sharks, sea lions, penguins, and rays. You will land at a beautiful white sand beach for a short walk along a trail that meanders over varying types of lava. 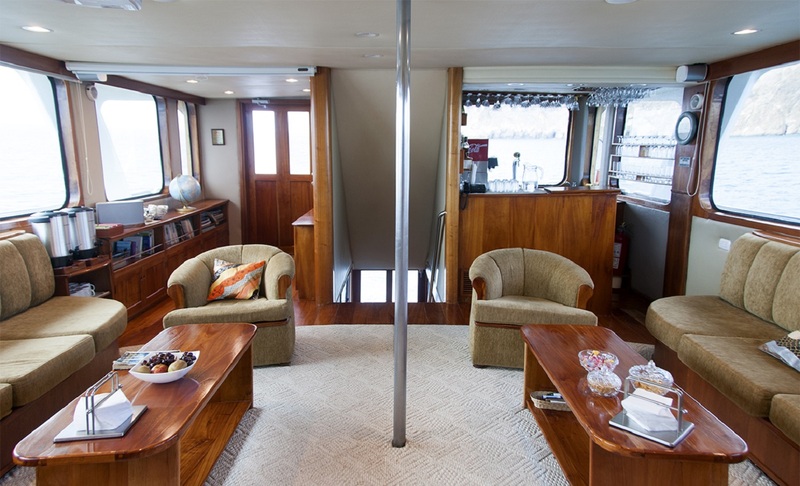 You’ll have breakfast on board Integrity, then disembark at Baltra Island.